In 1984 two brothers from Minnesota realized their dream of making a feature length motion picture. It was a dream they’d been cultivating since their days as children making Super 8 movies with the help of the neighborhood kids. The movie they made was called Blood Simple; a cool, timeless paean to Dashiell Hammett that is as confident and engaging as any of their later work. 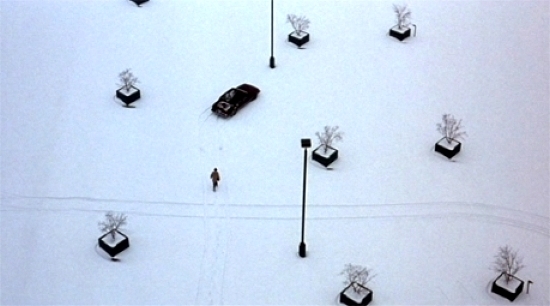 From their very first film it was evident that the Coen Brothers would become a defining voice in American cinema. They’ve continued to present these elaborately imagined worlds that seamlessly incorporate influences like Preston Sturges and Raymond Chandler while firmly maintaining their own signature aesthetic. In honour of this amazing retrospective Modern Superior will be posting reviews of the films they’ll be showing. Seeing a Coen Brothers movie on the big screen is both an overwhelming and satisfying experience that everyone should have. Do yourself a giant favour and go see these screenings, friend-o. Go to TIFF.NET for additional information on the Joel & Ethan Coen: Tall Tales Retrospective. Contest: Win Inside Llewyn Davis Tickets & Soundtrack!